James I and Joan Beaufort: A Royal Love Story – History… the interesting bits! Interesting article. I love the story of James I and Joan Beaufort. Small correction: Joan Beaufort was not the niece of Richard II, she was his cousin. For her to be his niece, one of her parents would have to be Richard’s sibling, which of course they were not. Hi Vicky, thanks for your comments. Sorry I tried to over-simplify it in the article by saying niece (I’ve altered it now). Joan was Richard II’s great-niece – her grandfather was Thomas Holland, 2nd Earl of Kent, son of Joan of Kent and half-brother to Richard II. How that makes sense. Not to be nit-picky, but you’re both right. Joan would have been Richard II’s great-niece on her mother’s side, as her mother’s father (Thomas Holland) was half-brother to Richard. But on her father’s side, she would have been Richard II’s first cousin, once removed. 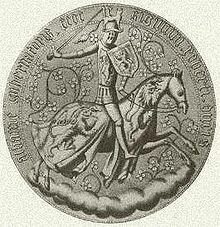 Joan’s father was John Beaufort, who was the son of John of Gaunt. John of Gaunt was the brother of the Black Prince, making Richard II and John Beaufort first cousins. 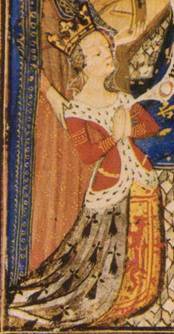 John Beaufort’s daughter, Joan, would then be Richard II’s first cousin, once removed. I really enjoyed this. I had never read of their love story before. Thanks for bringing us all these “interesting bits” of history! I love this! It’s the historical background – at least part of it – for a marvelous but little-known novel of Scotland, “The World, the Flesh and the Devil” by Reay Tannahill. It’s such a good book and such a great love story and I’ve been re-reading it every couple of years since I discovered it. Thank you Cathy. I haven’t heard of that book – I’ll have to go looking for it. Can’t find that book on Amazon..
Reblogged this on History's Untold Treasures. 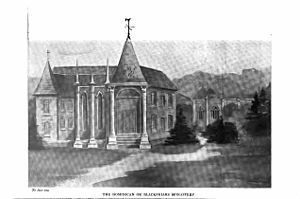 Pingback: Katherine Swynford, Duchess of Scandal – History… the interesting bits! sixth paragraph – a ‘grand-nice’? really? Fascinating! A real love story indeed! Joan was very fertile wasn’t she? And strong too! What a woman! Very interesting. Do not know a great deal about Scottish heritage as up to a point, it Is sort of involved with English heritage. Thanks. A bit more involved history”. Evelyn. Pingback: Book Corner – Red Roses by Amy Licence – History… the interesting bits! This is part of my genealogy so I take a great interest in Joan Beaufort and King James I. Thank you for writing this Sharon. It does make me want to learn more about their backgrounds, and this love story. Would anyone out there know of a good factual book about their life story? As ever, a really interesting read. I do enjoy your blog. I found your article quite interesting. 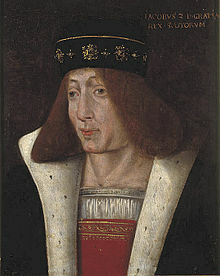 I am a descendant of The Scotch Stewarts and the English Stuarts. They are descendants of Alan Fitz Flaad, born in Dol, Normandy, France in 1078 and died in 1114. He married Aveline de Hesding. They had a son, William Fitzalan. Thank you for writing this article. I was trying to find out if Joan Beaufort actually married James Stewart I (King of Scotland) and I learned she was married to him and also a Sir James Stewart and he had the same name as King James I. How confusing! 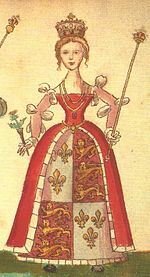 I just found out my former mother-in-law was descended from Joan Beaufort and King James I of Scotland was her ancestor. I was trying to find in my genealogy if both are also my ancestors. Such an interesting read, thank you Sharon. I am staying in Perth and last night walking to dinner I saw a memorial on a corner. Never liking to leave a memorial unread I discover it marks the sight of the Carthusian monastery and burial place of Joan Beaufort. I have read about Kathryn Swnford in the past so googled later and found your nice piece and blog. Looking forward to reading more now. I am a descendant of Joan and James, and was wondering if you have any more sources or information on their lives. I am very interest in this love story, and would be interested in reading more. Thank you for this great article!